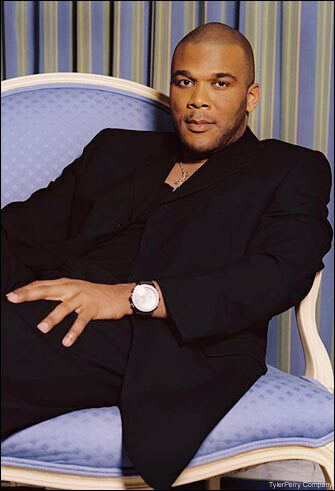 Find Out Why Tyler Perry Appreciates Being Able to Open His Kitchen Cabinets! I have lived in this house for almost 7 years and today it hit me. I mean this blew my mind. I went to my kitchen cabinet today, got a glass, poured some water in it, and drank it. I realized in that moment that I am no longer afraid to open my kitchen cabinets. It brought tears to my eyes. Ok, before you think I’m crazy let me tell you why. W…hen I was a little boy I wouldn’t dare take a glass out of the cabinet and drink from it without washing it first. The roaches had crawled all over them and the rats would leave droppings all around them. It was bad. I hated going into our kitchen, especially at night. It was scary. When I turned on the light there was no telling what I would see. Rats bigger than shoes, roaches everywhere. I remember being afraid to open the kitchen drawers because mice would jump out and run, and we really tried to keep it clean. So you know from a boy to a man I carried some of that fear with me. So to think that I have been taking glasses out of these cabinets for years, and opening my kitchen drawers without fear is a blessing. Being able to turn the lights on in the kitchen at night and not be ready to run… I’m telling you God is good. Now I know some of y’all are not going to be able to appreciate this. But to all of us who came from it, you know what I’m talking about. And to all of y’all who don’t get it, I thank God you didn’t grow up that way. And to the ones who may still be there right now, I’m going to tell you what I know to be true. Through faith anything is possible. You can go as high as you want in this life. What God has done for me and so many others, He can do for you. Only believe. ONLY BELIEVE.